Noah Gragson will make his NASCAR Xfinity Series debut Friday night at Richmond (Va.) Raceway as driver of the No. 18 Joe Gibbs Racing Toyota. The Richmond race will be the first of three-consecutive Xfinity Series races in which Gragson will drive the No. 18, as he’ll also compete in the series for JGR in races at Talladega (Ala.) Superspeedway on April 28 and Dover (Del.) International Speedway on May 5. The No. 18 is typically driven by one of JGR’s Monster Energy NASCAR Cup Series drivers, but Cup drivers are prohibited from competing in the next three Xfinity Series races, as they’re part of the series’ Dash 4 Cash program that began April 14 at Bristol (Ten.) Motor Speedway. 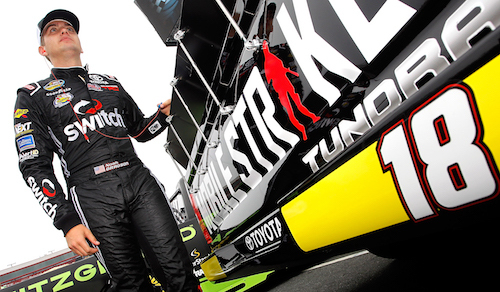 This season is Gragson’s second as a full-time competitor in the NASCAR Camping World Truck Series, both as a driver for Kyle Busch Motorsports, owned by Joe Gibbs Racing Cup Series driver Kyle Busch. Gragson has 29-career starts in the Cup Series, resulting in a race win last year at Martinsville (Va.) Speedway. He also has six-career top-five finishes in Truck Series competition. The Dover race weekend will be a doubleheader weekend for Gragson, as he’ll compete in the Camping World Truck Series race there May 4. The Truck Series is off until the Dover weekend.